Why a Play like “Palok”? 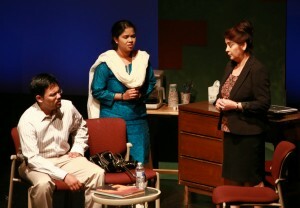 Over the years, I have tried to capture the conflicts and struggles of our expatriate lives in America through my plays. And one of the greatest struggles we face is to rear our children in this foreign land. 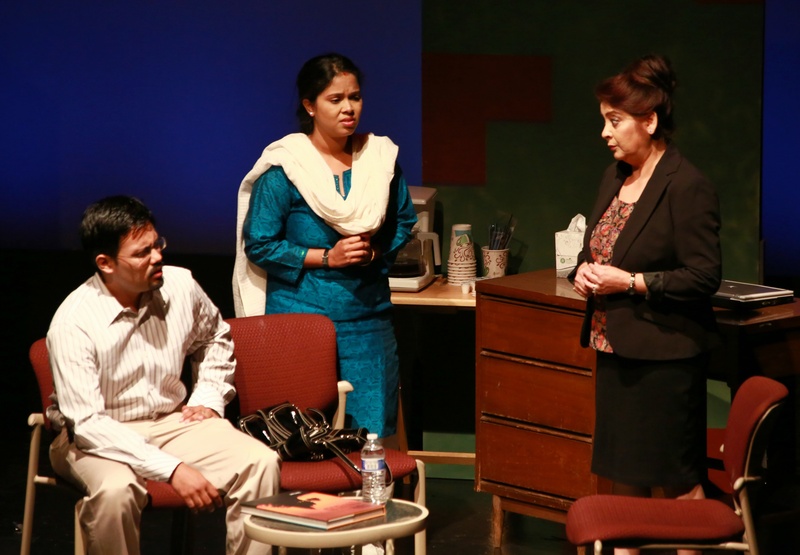 In many of my plays, the relationship (and conflicts) between parents with their children has come up in various forms – sometimes intentionally and sometimes unintentionally. In “Ron” it was the conflict of ideals and loyalty between the two generations. In “Satyameva” the longing for parenthood of a lonely father was the key issue. In “Taconic Parkway” the struggle to cope with the loss of a teenage daughter created the drama. In “Cassandra…” the empty nesters hope and wish to get back to their child drove the play. However, the issue of parenting in its most primitive sense was never explored before until “Palok”. The challenges of rearing a child during the early formative years is the most trying period for any parent. It tests their patience, their resolve and their sense of responsibility to the maximum, especially in a country where you don’t have the support system of your immediate family. And during those difficult moments, they sometimes lose control of their senses and do things to their children which borders on “criminal” behavior. Some may argue that the term “criminal” may be a bit harsh. Sometimes, disciplining a child becomes a necessity and timely intervention can be beneficial to a child who otherwise might have taken the wrong course. But what is the difference between disciplining a child and abusing him? We come from a country where physical abuse in the name of disciplining a child, is an accepted norm. In schools, caning a mischievous child was quite common. Maybe it still is, especially in suburbs and villages. Nobody bats an eyelid when a young child laborer gets beaten black and blue for committing a minor offense. Children in India hardly have any rights. Hence violating their rights does not sound “illegal” or “criminal” at all. But that is not the case in all countries. These days, when we are no longer bound by geographical boundaries, when we easily transfer from one culture to the other, one nation to the other, we should also try to adopt the legal rights and privileges the country offers to its citizens. In recent times, several incidents of expatriate Indian parents losing their child’s custody to foreign governments have been reported in the media. Most of these reports tend to portray the parents to be the victims of an unjust and unfair legal system. They tend to ignore the reason behind such an action by the local child protective agency. They argue that a parent has the right to treat their child in whatever manner they feel is right. Sometimes ignorance also contributes to this problem. Many a new parent are not aware of the delicate physiology of their child and don’t know how to properly handle them. But ignorance is not an excuse. If a child is hurt, intentionally or unintentionally, the responsible party is tried and held accountable. Please don’t misunderstand me. I am not saying that the government agency is always right. Several cases of corruption and false accusation has been reported against these agencies. Sometimes these agencies are not sensitive to the cultural differences, especially in families of new immigrants. But we fail to appreciate that the laws in this country dictate, that if there exists the slightest possibility of child abuse, protecting the child is of the highest priority. Such a system can surely result in false alarms and unfair treatment of the adult caregivers. But it is a necessary evil that we must accept to protect the child. The play “Palok” explores this delicate issue of child care and parental responsibility through a story that is well known to many of us. The choices the characters make in the play, may not be what most parents in their situation would make, but I hope their conflicts and tribulations raise enough questions and try to seek an acceptable solution to this complex problem instead of blaming anybody. This entry was posted in Arts-Culture by sudipta. Bookmark the permalink.